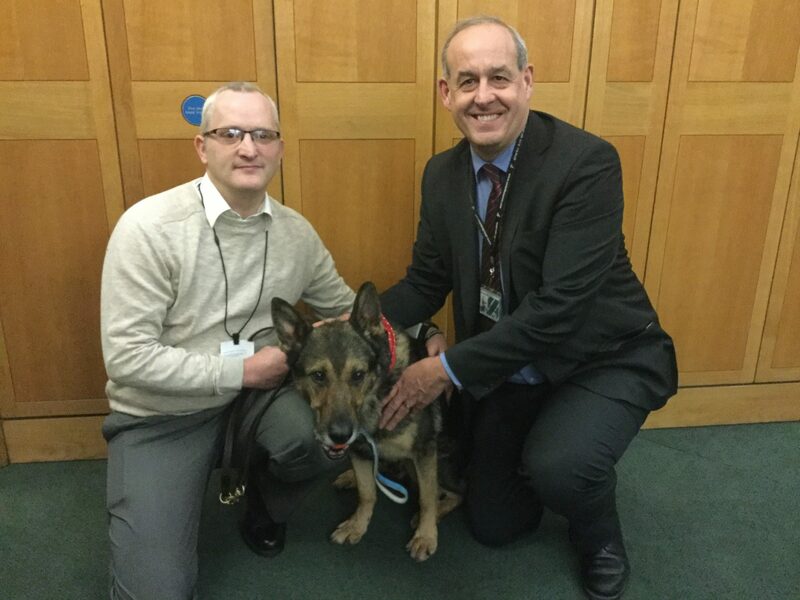 I celebrated Finn’s law passing the first legislative hurdle this week by meeting Finn himself. Recently, a callous attack on police dog Finn took place and this has resulted in a growing number of people calling for a law to be put in place that increases sentencing and provides a stronger deterrent against future attacks on police animals. The aim of the Bill, which has been given the full title of ‘The Service Animals Offences Bill’, is to create offences of attacking service animals in the course of their duty. This is something that already happens in Canada and other countries so the UK must now catch up. This Bill has cross-party support. The Ten Minute Rule Bill, which was read on the 5 December 2017, was allowed by the House to move to second stage of the legislative process. Although Ten Minute Rule Bills rarely get the time to go through all legislative stages the unanimity of the House’s decision is a perfect way to garner government support for the Bill. The animals that support our security services, fire brigades and people with disabilities are just that: animals. They are not tools are equipment and therefore should be given the protection that all animals should. The violent attack that took place in October 2016 against the police dog Finn is despicable. Labour already extended protections for assistance dogs when in government and it is now time that animals who work within our security services and fire brigades are also protected. Recently a public petition showed there is a desire for this law to be brought forward and I hope that the Government will support this Ten Minute Rule Bill. It was fantastic to meet Finn and his handler, PC Dave Wardell. They demonstrate the best of our policing and excellent teamwork. It is only right that we provide protection in law for service animals and I hope that this recent decision by the House will encourage the Government to support the introduction of new legislation.